4-Year-Old Labrador Retriever Mix Refuses to Stop Licking her Front Leg! Mercy was a peaceful, calm dog. She stepped on the scale at the vet’s and obeyed any request such as “sit!” or “Gimme paw!” But the 4-year-old Lab mix would not stop licking the top of her left front leg! Squirting water at her and saying no! Still, Mercy licked obsessively at that one spot. 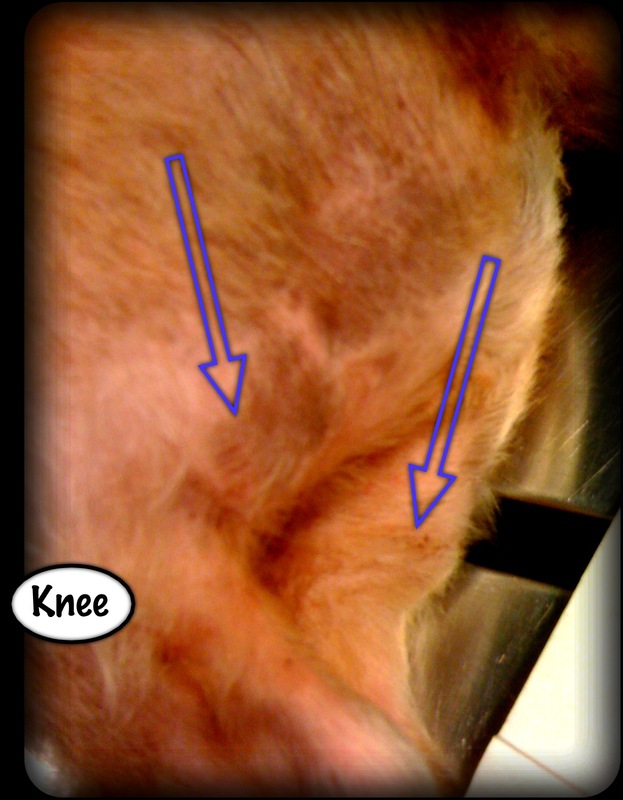 What Are the Possible Diagnosis for a Sore, Bald Spot on a Dog’s Leg? There are different diagnosis for a lick granuloma that can all look the same as Mercy’s sore. Certain skin tumors, arthritis, insect and spider bites, drug reactions, non-healing cuts, and obsessive-compulsive behavior can all contribute to a non-healing sore. You really do need a veterinarian to guide you aggressively and decisively in the beginning of the problem. There are treatments that work better: prescription strength antibiotics that penetrate well, appropriate antibiotics given for 1 month or longer without missing a dose, talented application of acupuncture, cold Class IV laser therapy. “Honestly, people watch these sores grow. I believe people hope they will resolve on their own. The sores don’t seem that bad at first. The problem with ‘wait and see’ is this: we see a deep, scarred, difficult problem in a relatively short time,” says Doc Truli. As the lick granuloma sore festers over months and years, the original cause and cure become lost to us. There is so much scar tissue and raw nerve endings that the original cause barely even matters anymore. So what can be done? 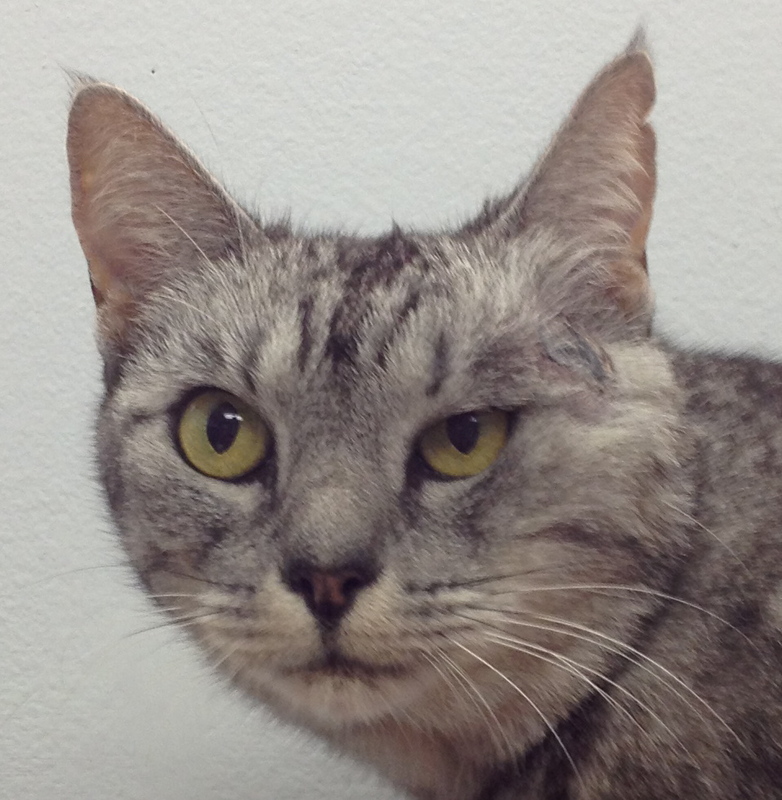 In Mercy’s case, we performed surgery to excise the diseased, damaged tissue. The surgery went well, but can you guess the massive post-operative nursing care problem? Did you guess the problem is the stitches and the healing process itself? Question: How do we keep a dog who caused a problem by licking, from licking the surgery site before it can heal? Answer: Be very, very creative! Voila! Doc Truli invented dog leggings you can make from stockinette. 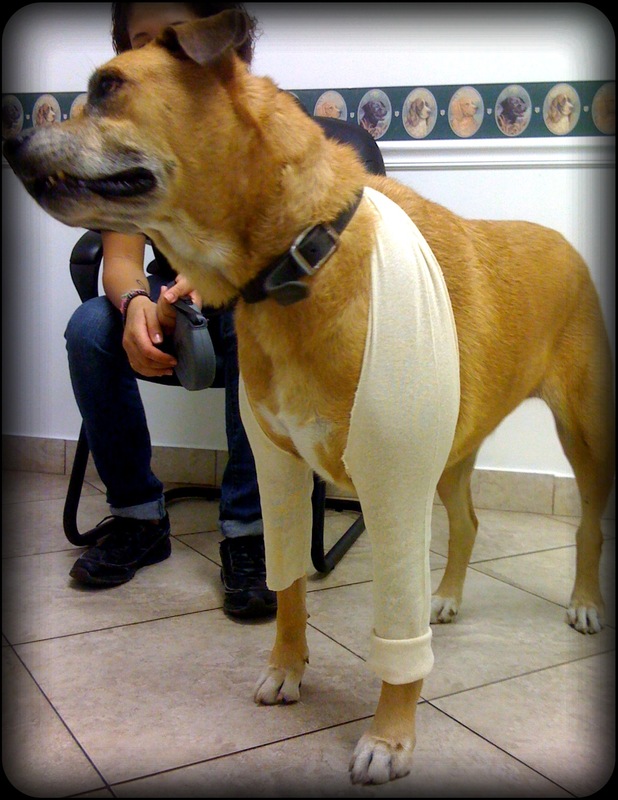 This gauzy material comes on a roll for use in covering the leg underneath a plaster cast. It is a tube of material, lightweight, and easy to cut. Many veterinarians and medical supply stores carry this stockinette. Drape the stockinette over your dog’s back, from paw to paw and over the shoulder. Cut a length about 10% longer than that. Fold in half, find the midpoint and cut along one edge to fillet open the stockinette. This opening will be large enough to make two legs on either side, but small enough not to droop at the armpits. At this point, I usually discover I made the whole thing way too short (hence the extra 10%), or I’ve cut the center hole part waaaay too small (general, it’s about 50% of the stockinette) I make the center cut larger until I can get the dog’s second leg into the stocking. Tie the stockinette over the shoulder to the collar or harness, or, if you’re an engineer, replace the collar so that the mid-point of the socking is held to the collar. Otherwise, it tends to drop and loop back toward the middle of the dog and the legging parts get loose. For extra strength and snazzy looks, give the ends of the leggings a preppy cuff by folding the stockinette two or three times. Replace as needed to keep clean and comfy. So there you have it, a dog leg cover that does not chafe or pull. I have not yet had a dog rip it off, because it doesn’t bother them. Now the stockinette leggings cover the incision and allow the proper time to heal without lick interference! Not really. It’s a tangled mess that slides off the tail in the hind end. Ouch! That sore may have cropped up super fast. The most successful way I have found to attach/apply effective padding is to place stay sutures around the area to “lace” padding over the area with umbilical tape. That way, it is very close to sewn in place, but you can change the bandage/padding regularly. If your acupuncturist does Chinese Herbal Medicine, too, ask them about Healing Salve from Jing Tang Herbal to heal that up as fast as possible. I have a foster dog, Charlie with a very strong lick compulsion. The rescue has paid for surgery to remove the dead tissue and it was healing very well right up until the time the took the bandage off. With a cone, and a medipaw he managed to tear the medipaw and get to the wound within minutes of being outside. We are now doing cool laster treatments, and he just started antidepressants and anti-anxiety med, along with Gabapentin. We need the wound to get air but be protected from his strong lick urge. Like I said, kenneled and coned, he still has been able to tear the cotton sock I use to cover it. If things are too tight on him, his foot swells, if not tight enough, they fall down. I was happy to found and order online a Suitical Dog Recovery Sleeve for him but within 15 hours, again, kenneled and coned, he tore the sleeve. The concept of this sleeve is awesome!! I just need something breathable and flexable he cannot tear open. It’s getting frustrating for him and me!!! Any ideas?? My border collie has a hygroma and for a month I’ve struggled to keep it covered, per my vet instructions. I finally found a solution with a heavy cotton stockinette. They’re from Patterson Medical, Rolyan Cotton, 2 inch. comes in various sizes. Worn as suggested, crossing the back. Thick enough to provide protection. Little stretch. Ordered online. Thanks. omg, you are a LIFESAVER! Thank you so much 🙂 My pup hurt her elbow and was licking it incessantly. I tried everything – my own sweater altered to fit her (kept pinching her under the arms, then ended up being too big), my hubby’s sweater which subsequently stretched and was destroyed, the ecollar which didn’t help much because she’d rub her elbow against things to scratch it, etc. Hubby banned me from using our clothes, lol, and so after reseaching online I found your post here. Off I drove to the vet to ask for a couple of feet of stockinette and followed your instructions. Voila!!! I’m so grateful, thank you! CVS (added by Doc Truli: CVS is a pharmacy chain store in the US) has a product called Elastic Stretch Net, $5.99. It’s a tubular netting similar to the stockinette and sold in the First-Aid section. It’s meant to hold pads in place like your ankle or leg without using tape. You slip your leg into it. I bought it at a local CVS and it works! I followed the directions above for the stockinette and cut out a midsection to go across my dog’s back and to slip both front legs in. I then stuck in a surgical pad for cushioning his elbow. It’s holding the pad in place. I might put some wrap to secure it more. But for two weeks I’ve tried to keep this wrapped and nothing has worked. This tubular netting to hold bandages in place has saved the day. My dog is a 45-pound border collie. It would work better – a more secure fit – on a bigger dog. It’s 3 inches in diameter and it stretches. I thought it wouldn’t be secure enough, but it seems to work. Good luck! kept a baby sock with the toes cut out over the wound but thank you for the info! Much appreciated! Bought the stockinette on Amazon. It has worked GREAT! Now that his elbows have “dried out” I need to find something to help the bald spot heal. Right now it looks dry and cracked. Thank you for posting this….even though it’s 4 years old. This really helped me a lot! I bought one of those baby long sleeve onesies size 24 months and cut it to fit over body and the long sleeves cover the legs….no more licking the wound! As a nurse, I had supplies on hand to address this issue. I bought a new pair of white crew socks and cut them open at the toe, and attached a length of material to each of them to go across her back. I also used a sanitary napkin, with a hole cut in it for cushioning/padding and placed inside the ‘sock’. My mindset has always been that wounds need some ‘air time’ to heal, so with that said, how long has everyone else kept their pets wrapped? Also, what are your thought on oral abts vs. topical? You know, some dogs need a wrap or light cover for the rest of their lives. You can get the hygromas to heal if you can change a lifetime of habit and get your dog to lay on soft surfaces. A vet can help you decide about antibiotics. Anyone else opining is a waste of time. Try to get therapeutic laser treatments. It’ll heal much better than with time alone. This saved the day for us, but I did something a little different. I purchased some children’s socks at the local dollar store, and then cut the TOES out of the socks. Next, I split the top of the socks, just as is described with the leggings in this blog. The next step was to sew a piece of stretchy fabric to tie the two tops of the socks together, which is draped over the dog’s back (and where the “knot” would be for these bandage/leggings). The end result is an “outfit” that can be washed again and again, and it looks ADORABLE! Thanks you for sharing the leggings idea, it’s saving my labradoodle guide dog puppy from the cone of shame after a front leg injury. It was cheap and easy to make, easy to put on, and the dog is leaving his stitches alone! Perfect! 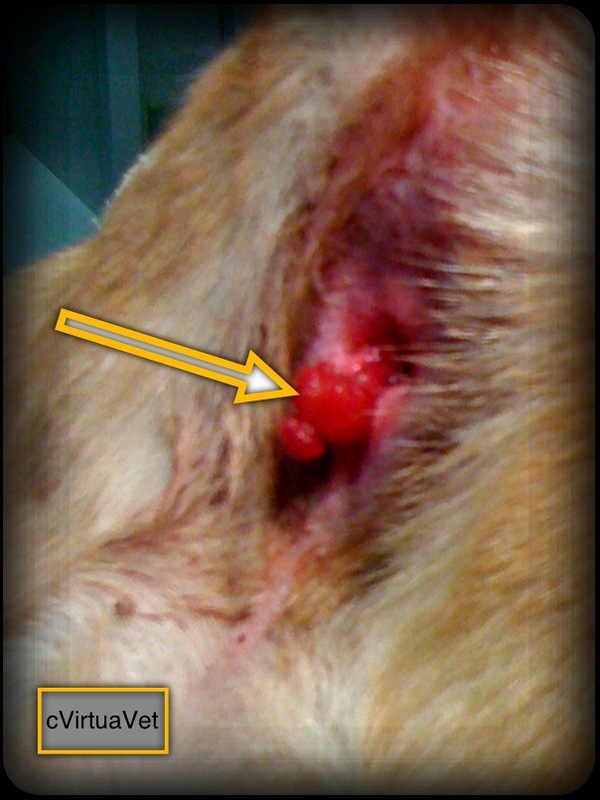 This story is the same story we are going through with my mastiff but the lick granuloma is covering the front of her back leg . Same steps? We even uses a basket muzzle when we are gone or at night and she rubs her leg with that rubbed off all the scab today!! Every thing I find is for the leg. What options is there for when you are dealing with it on the top of the paw? It is so overwhelming trying to find something to work. Any ideas? Paws are easier. There are neopreen booties with velcro stays. For small dogs, there are baby booties with rubber grip on the bottom. There are bandaging techniques for feet that work well. You can seriously injure a paw with improper technique. I would suggest you offer to pay your trusted veterinarian to teach you in person how to bandage the paw. There really is a touch and feel to it you won’t learn from reading. Thanks for your post about the dog “leggings” made from stockinette. Stockinette comes in several widths (from 1″ to 8″). Can you tell me what size to buy for a labrador? We usually stock the 1 and 2 inch and it works for almost everything. I think there was a box of 4 inch that we used on a huge dog. If you make leggings, please share a pic! I have a small chihuahua and I have tried to modify and sew baby socks and onesies and just frustration. Would the 1 inch be small enough to hug tight enough that he can not nuzzle it up to lick his front leg? Chihuahuas come in so many sizes! I would try different stockinetes. You can also take a 1 inch tape measure and see how wide that seems compared to his foreleg. I bet it would be a little big. The 1 inch refers to the diameter of the stockinette, if that helps. To get the leggings to stay on the back leg is tricky (I’ve never been able to do it.) You would have to anchor the leggings up around the shoulders so they do not slip off. If you go to dog leggings, they have a home-made idea that may work, although I have not tried it myself. If you find a solution, send a picture. Do you mean the stockinette fabric? Look on medical supply sites. Here is the website for the shrock…good luck it does work however its kind of bulky and also I added a strap to go around her collar you know like a t-strap to keep it up…good luck!!! I’m so frustrated, when I take it off her its a matter of time before she gets the wrap off and eats it…. We have a large, mixed breed dog. She is 17 years old and 3 years ago her best friend, another beloved pet of ours, died. The is when she developed a lick granuloma. We have tried everything including laser therapy. She licked off the ointment, ate the bandages, and still continued to lick. We tried the plastic cone around her neck, the soft one that goes around the neck…nothing worked! 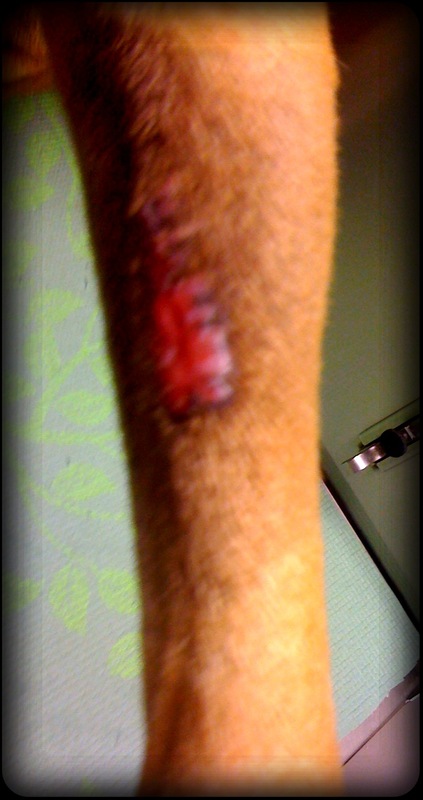 I know that dogs will lick a sore, and assumed that is probably because the exposed area hurts. 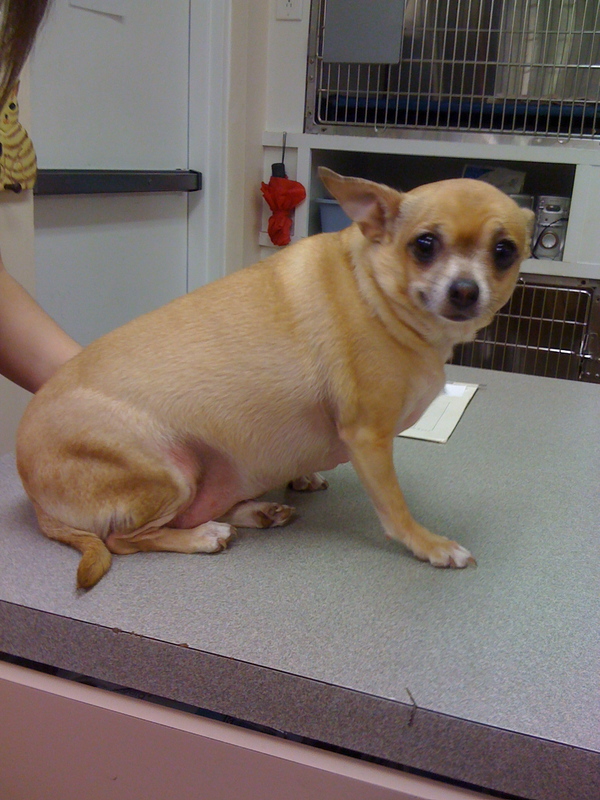 After trying every option we were offered, we asked our vet for some pain medication for her which he prescribed. We refilled the antibiotic, Cephalexin, and Rimadyl, which is also for pain and inflammation, in addition to the pain medication. It occurred to me that this type of wound is actually a burn created by constant friction caused by the tongue wearing down the hair until the skin is exposed. I went to Walgreen’s and purchased “Cooling Burn Relief Spray.” which has Benzocaine 20%/ Pain Reliever Triclosan0.13%/First Aid Antiseptic. She doesn’t mind the spray at all and doesn’t even lick it. The combination of the meds and the spray which she only seems to need 2-3 times a day, has allowed the hair to grow back and she rarely pays attention to her leg. We have never had to place another bandage over her wound and she does not bother it. Think about when you have had a burn. To cover it up creates heat. Whether or not this is the reason she chewed off the bandages, even the type that is guaranteed that they won’t chew, which she readily did, it is still foreign. I hope this information helps your pet. It is so sad to see them in this condition. So far, our dog is resting, and leaving her leg alone! That’s an insightful analysis. It’s also why I prefer the lightweight, breathing cover I used in this patient. It avoids the irritation of a tight, itchy bandage. Way back in the olden days (I have been a vet tech since 1972…) they injected cobra venom around these sites to deaden the nerves…I have been out of dogs for a while, do they still do that? Oh no! I can imagine the biology of how that would work, but the liability and purification of the venom would make the product unmarketable. We can inject lidocaine. Plus, I’ve used prescription lidocaine patches, like they use for humans with a painful area. I also use the lidocaine patches for severe arthritis flare-ups. They have saved a few dog’s lives when their pain flared up and everybody wanted to put them down. A few days on morphine and lidocaine in the hospital, and they were back on their feet for several more years–literally. Never underestimate a cat or dog’s ability to get over temporary pain and cary on with happy life. Brilliant! This is such a common problem — protecting legs from biting, chewing, etc. I have a couple of questions and a comment. One question: Could lick granulomas be addressed behaviorally? e.g., could you click/treat the dog for doing things other than lick, or give the dog something else to occupy them, such as a Kong or knuckle bone? I imagine it would depend on how motivated they are by food or toys, and also how irritating/distracting the granuloma is, but I did notice in the list of what they tried, aversives were used (not that I blame them), and I wondered if redirection might ever help? I discussed it with a friend whose guide dog had a puncture wound in his pad, and all the things she had to figure out to keep him comfortable and working. I’m going to share your post with her and also link it in the comments section of my post, above. Even though your description is for covering legs, not feet, it seems like some version of this could be used if there was an injury that included foot and leg. My last question, since both my friend and I have multiple chemical sensitivity: Do you know what stockingette is made of? Is it the same material as medical gauze or is it more like nylons (as the name suggests)? I’m assuming it’s not washable, correct? I wash the stuff. It does stretch out and loose shape with age, use, and washing. But, still, I’m a big fun of using what you’ve got until it falls apart! In terms of sensitivities, I feel with my fingertips a stiffness and roughness like perhaps a sizing agent in the feel of the material. There also is a thick, smooth casting stockinette that feels like it contains nylon and an elastic-type consistency. (It does not smell like rubber or elastic, however.) I would wash these things first if I still had my extreme sensitivities. I believe redirection and clicker training would help a lot with a true lick granuloma. Of course, one must be darn certain there’s no physical irritation. But, in a case where antidepressants and anti-anxiety medicine would be used, behavioral modification by reprogramming the impulse to lick into stopping and receiving a reward is perfect. Also, I did not address the issue of space to play and exercise and how it relates to these anxiety-based lick granulomas, like we often see with Labrador Retrievers. I see far fewer lick granulomas ion dogs who live in a single-family house and get 40-60 minutes of heart-pounding exercise daily. I suspect the working dogs who obsess about paw licking are exhibiting some stress and anxiety, perhaps about their workload. They certainly have meaningful and interesting daily challenges to face, yet sometimes they still obsess, so there must be some underlying incongruence in their psyche. You’ve known many assistance dogs and their people, Sharon, do you think working assistance dogs are at any special risk for mental stress disorders or acting act anxieties? Or do you think the work and the interaction with their person or people keeps them busy and occupied, and therefore happier than a bored, lonely housed waiting for the family to come home from school and work? First, I should say I have very little experience with lick granulomas. I know they can be a really persistent problem for some dogs, but I have no idea of the incidence in the pet vs. assistance dog population. I was just responding to an idea for keeping any dog body part clean and dry when the dog wants to get at it! Gadget had allergic reactions to foods, medications, and vaccines, and he would want to chew himself up until they cleared. That was the worst problem I ever had with licking/chewing/biting behavior, but my vet and I knew what the problem was, and then it was a matter of preventing exposures to those things. In terms of working dogs and stress, I’m no expert, so I might not say anything you don’t already know. I think it really depends on the dog, the work, the person, and the match. I hear more these days about a focus on placing/graduating dogs who “choose” to work, who love or need to work. I think and hope that this translates into dogs who are engaged and challenged but not overwhelmed. I prefer to speak from my own experience. My first SD, Jersey, was really quite a couch potato. Due to my disabilities, so was I. And because she was my first SD, and because I didn’t know clicker training yet, and because my limitations were less severe than they are now, we worked well as a team. She was super food motivated and a velcro dog. So, she liked training and working because she liked being with me, and she was excited about earning food. She did not like riding in the car, and she enjoyed some destinations and not others. Her perfect world would have been that we never left the house except for walks and were never separated. But if I had needed her to do the number of complex or energetic skills I needed from Gadget, she would have been super stressed. I doubt she would have even made it past puppy raising if she were a program dog; she certainly would have washed out at some point. She was very easy, but also limited (very sweet, perfect manners, devoted, but not that smart and rather phlegmatic). I didn’t ask much of her (in comparison to most assistance dogs) partly because I knew I wouldn’t get it if I tried and partly because I didn’t yet know how to train those skills. Gadget, OTOH, really needed a job, and I felt pretty certain that without structure and leadership, he would have been in danger of being euthanized for behavioral problems. He, too, would have been a program washout, not because he wasn’t super smart and motivated, but because he was drivey and had a tendency toward overprotectiveness that he had to learn not to exercise. He also hated my car, but he liked arriving wherever we were going. He loved learning, he loved a challenge. But my needs are very “scattershot.” I need a dog who’s happy to lie around and nap a lot while I rest, but who also has a zest for learning and doing things when asked — at home or away. Bouviers tend to be these on/off dogs. They’re working/playing/running HARD, or they’re holding down the floor. From what I’ve read and heard from others, I hear more about physical problems becoming issues, either just the physical problems that plague the general population (cancer, HD, etc.) or overuse from bracing or pulling, etc. When I hear about psych issues, it’s usually a dog who is aging and has developed fear of thunder, etc., OR a dog with a dual-handler situation of a child with a disability who can’t manage the dog, and the parent is the handler, but the dog is responsible for the child, which often includes sleeping with the child when the dog doesn’t want to. Another one is sometimes a dog will just stop working — refuses to work. Then they’re retired. I’ve heard of this in the above situations, and apparently it sometimes happens with guide dogs, too. I know some people whose dogs are medical alert dogs, which includes waking their handler from sleep, are concerned about the amount of stress their dogs are under because they are “on” 24/7, and trying to find ways to relieve this stress (play time, getting a second dog to share the load, etc. ), but I haven’t heard of actual cases of burnout or stress symptoms in these dogs. My guess is that as assistance dogs become increasingly popular and used for a broader range of jobs, there will be more studies and data addressing these issues. Personally, I wonder what the rates of stress and burnout would be if there was a comparison between dogs trained and handled using clicker methods versus compulsion. I’d like to think clicker dogs would cope better, but I really don’t know. I think the traditional breeds for assistance work — mostly Labs, but also goldens and standard poodles — need a lot more activity on a consistent basis. So, they either need a handler who’s on the go more, or someone who requires a lot of assistance throughout the day and/or night. I think you’re spot on about the breeds. Bouviers are just perfect for the on/off type of dog needs. Regarding your compulsion vs clicker observation: Your comments reminded me of a study done in the Netherlands on high-drive working dogs being trained to detect things (various different things, the “thing” did not really matter.) While these dogs and their work is different from an assistance dog, I think the results relate to all learning and the DNA and biology of learning. They wanted to know if there were long-term negative affects on a dog if there was one single instance of harsh correction in the dogs’ early training days, versus all positive reinforcement (which makes me think of clicker training). You can guess, the harsh training resulted in a hesitation before sitting to signal the handler on a positive find, even FIVE YEARS after the harsh incident. Five years later, the dogs with the positive training were quick, happy, confident and did not hesitate and look to their handler for permission for everything. I put this together with my knowledge of research that shows that the proteins that ride on DNA and read it to make memory-related proteins, stop moving along the DNA during periods of fear or stress. Literally, dogs and people cannot make new meaningful learning connections during panic or fear. This makes sense, but it is a strong argument against ever resorting to negative re-enforcement, if you want behavior to change because of actual learning. Thank you so much for your insight. I value your experience and your dedication to the personal details of understanding your dog and your situation. Our society undervalues individual experience and lauds statistical aggregate data far too much. It’s the personal details that bring meaning to life, in my opinion. I’m here via After Gadget. I’ve had some experience with doing simple positive reinforcement redirection work. My family’s corgi mix, Cody, needed ACL surgery 4 years ago. I had just finished school, so I was home with him all the time. My parents felt pretty strongly that we could trust him to have his cone off, so we tried it. 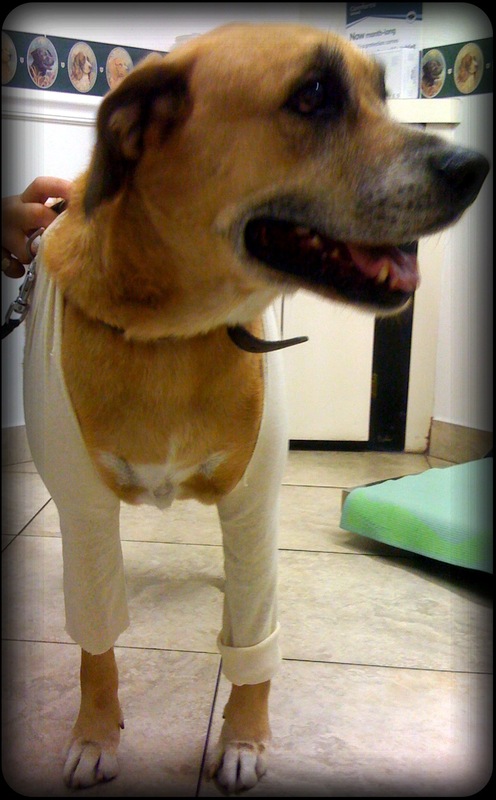 It took us about 2 days to get him to understand what we wanted, maybe 8 days to get him to leave it alone nearly all of the time; within 2 weeks, he never disturbed the bandages on his leg, even when he was left alone for hours . When the bandages came off, he continued not bothering the leg. We didn’t do clicker training; I suspect it would have been faster if we did. Cody is a smart, eager, mostly obedient little guy, so it may take longer with dogs who don’t fit that profile. Also, Cody is very food-driven. Your mileage may vary, but it wasn’t difficult for us.